Definitely a good haul. Now what do you plan to do with all of it? 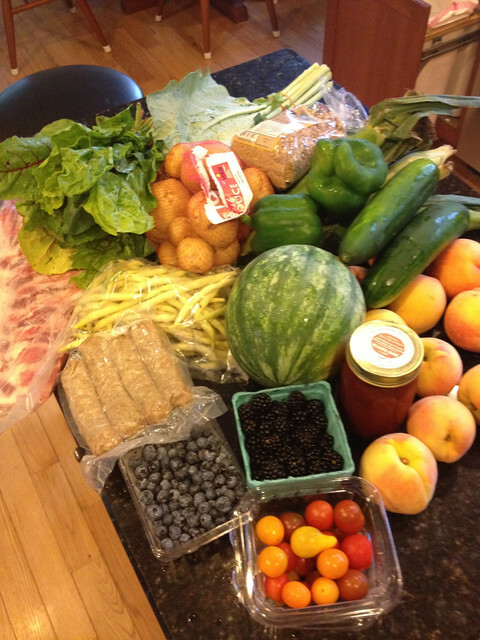 Come and add this post to this week’s CSA Link party…http://inherchucks.com/2012/07/25/whats-in-the-box-36/. Hope to see you there!